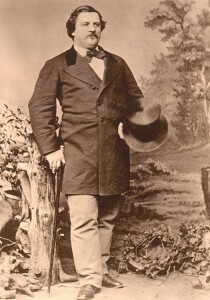 Pastor debuted at P. T. Barnum’s American Museum in New York City when he was six and was a stage entertainer until he opened his own variety theater in New York City in 1865. In 1881, he opened a second venue, the Fourteenth Street Theatre, and advertised a new kind of popular entertainment—vaudeville—which catered to ladies and family audiences, in contrast to the vulgar fare presented in other popular variety houses. Pastor’s version of vaudeville developed into the most important form of American popular entertainment before the proliferation of film and electronic media.